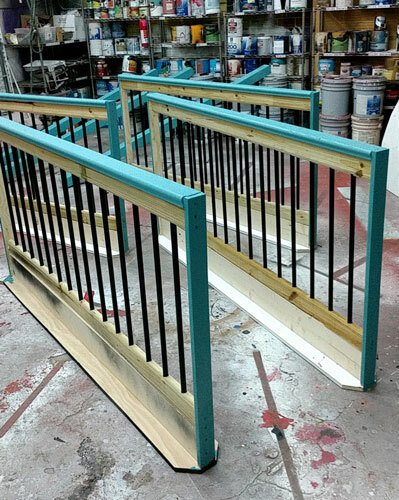 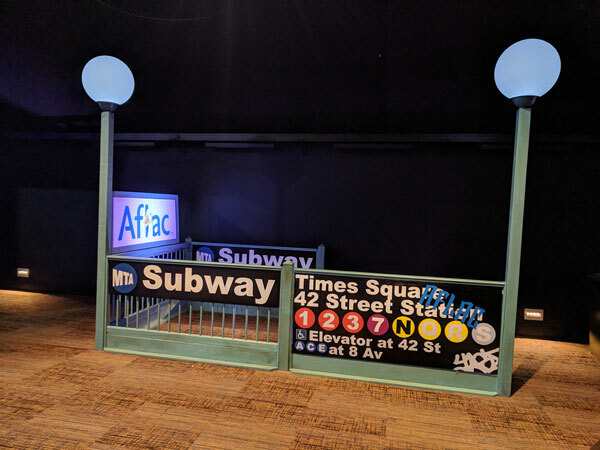 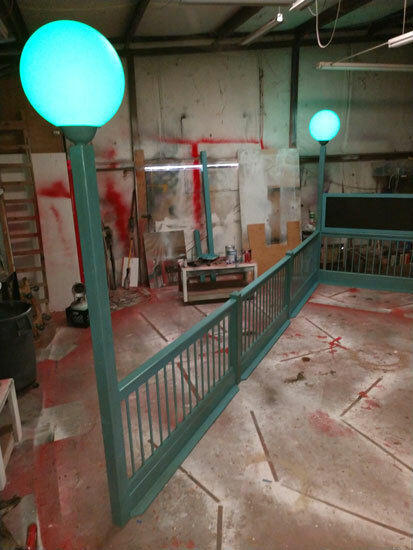 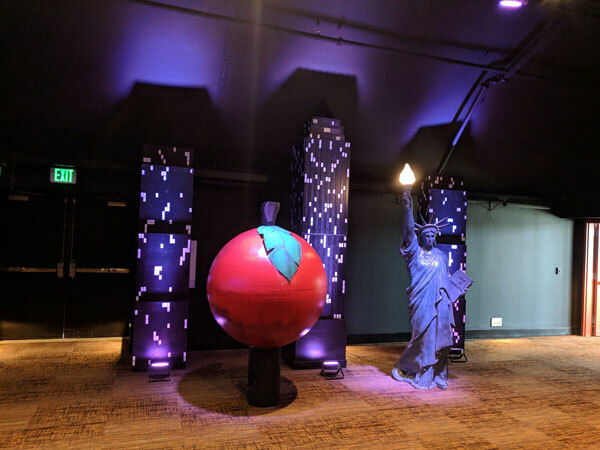 Check out this New York Subway prop, this whole theme was designed and built in our workshop, right down to the apple leaf! 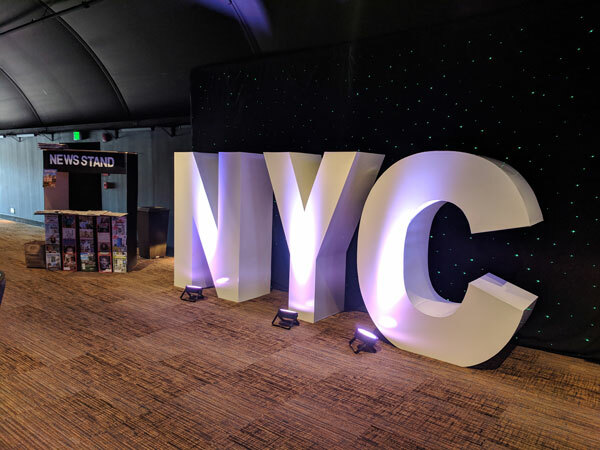 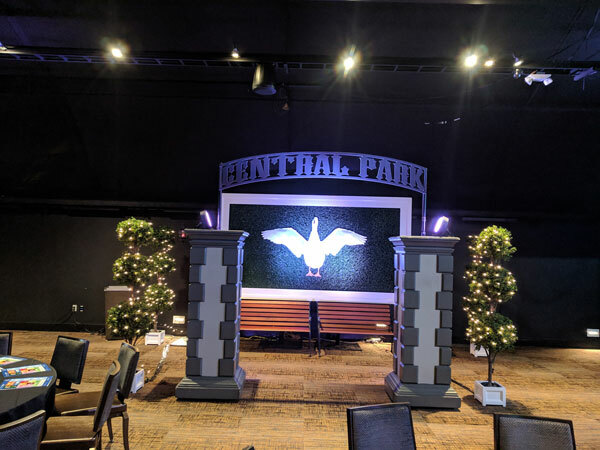 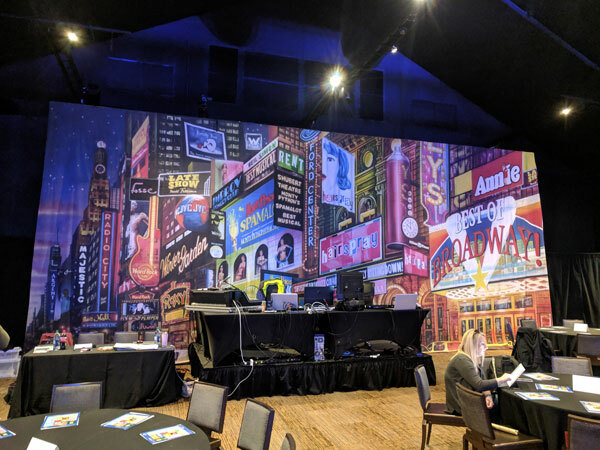 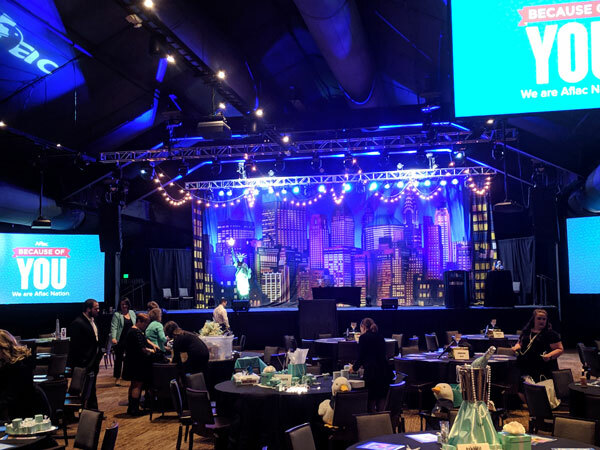 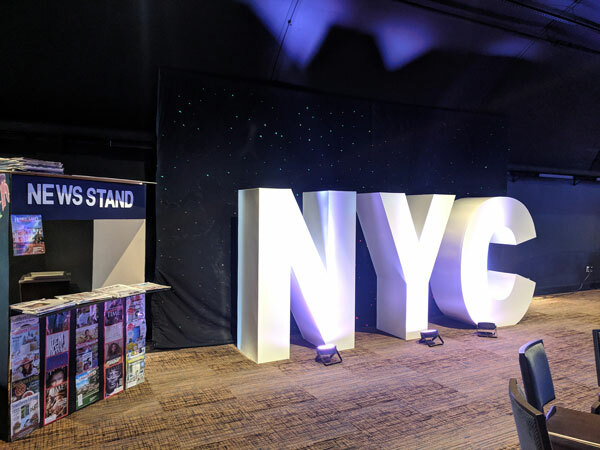 The guests at this event were transported to Manhattan Times Square within seconds of entering the ballroom and we were incredibly proud to be able to make this happen. 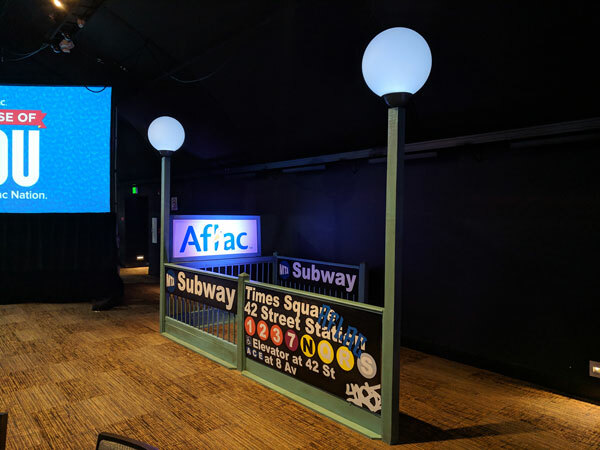 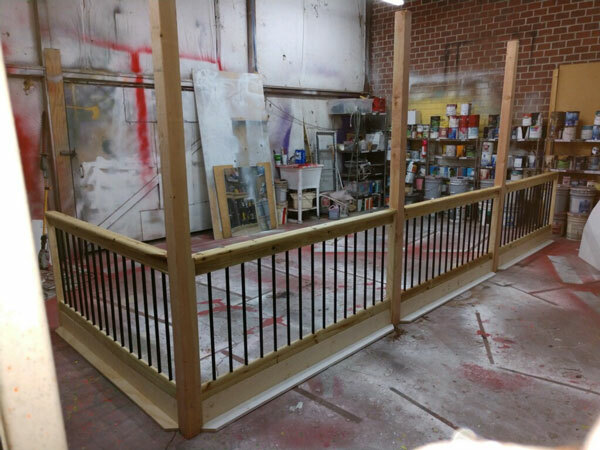 Here is the Subway build, from an idea to a reality!